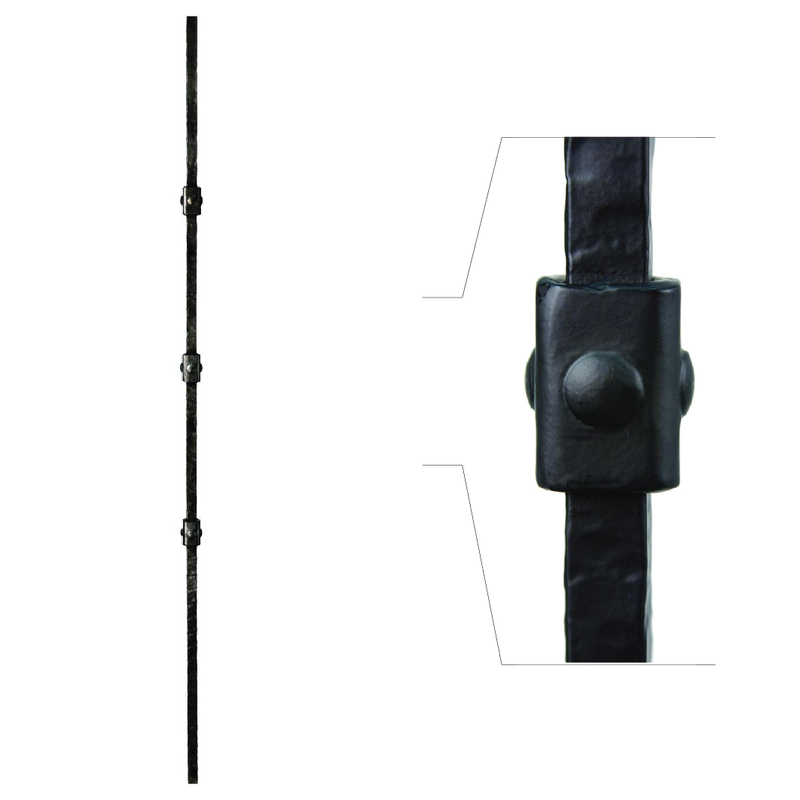 The above products are recommended for installation or mounting of the 3.2.2 Wentworth Triple Knuckle Bar. 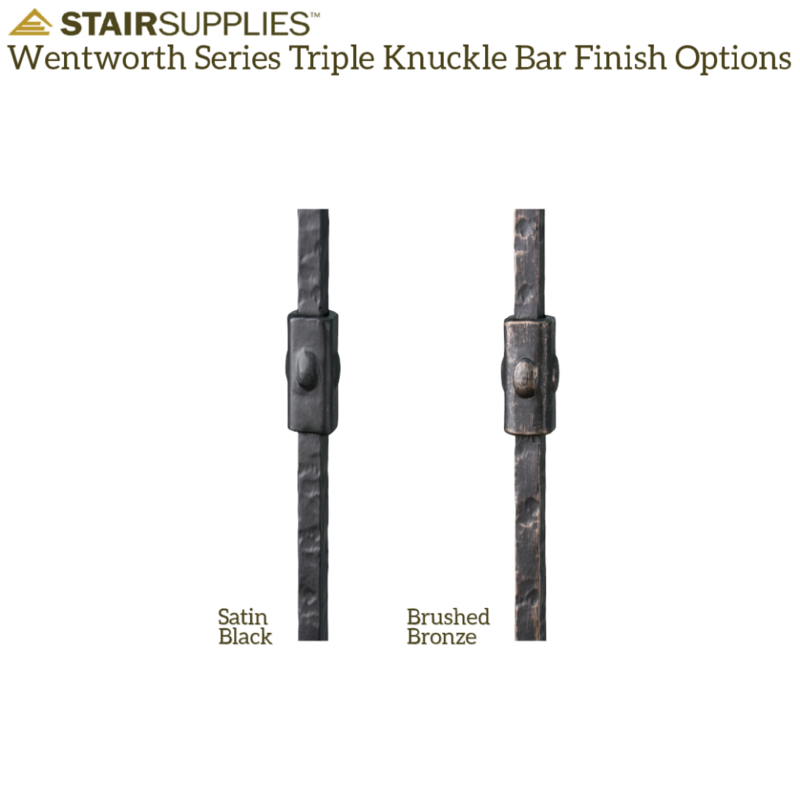 The Triple Knuckle Bar has a weathered texture reminiscent of old world metalsmithing, and works well in designs featuring the English Weathered Bar. how the knuckles are spaced on the bar? The knuckles on the Wentworth Triple Knuckle baluster are about 8 inches apart. If you need additional information, you can always call one of our specialists at (866) 226 6536. Is it possible to get this design with square balluster with only one knuckle toward the top? 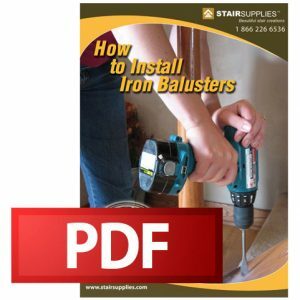 The Wentworth series is only available with the triple knuckle, but we have a Versatile series that looks similar and has a single knuckle option – https://www.stairsupplies.com/product/16-1-34-single-knuckle-iron-baluster/.